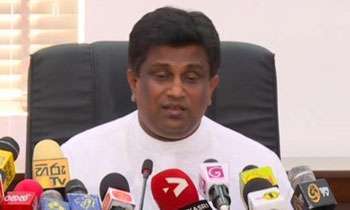 The debate on the Judicature (Amendment) Bill will be taken up in Parliament on Wednesday, Deputy Chief Government Whip Ajith Perera said yesterday. He said this at the opening of the new auditorium of the Divisional Secretariat Office in Milleneiya last morning. “We will enact the Judicature (Amendment) Bill which provides provisions to set up a trial-a-bar despite whatever the obstacles that might come our way. The legislation will make the judiciary efficient as the new trial-at-bar will sit daily and hear cases on corruption. The Judiciary in this county is inefficient and the Judicature (Amendment) Bill will takes this inefficiency away,” Mr. Perera said.